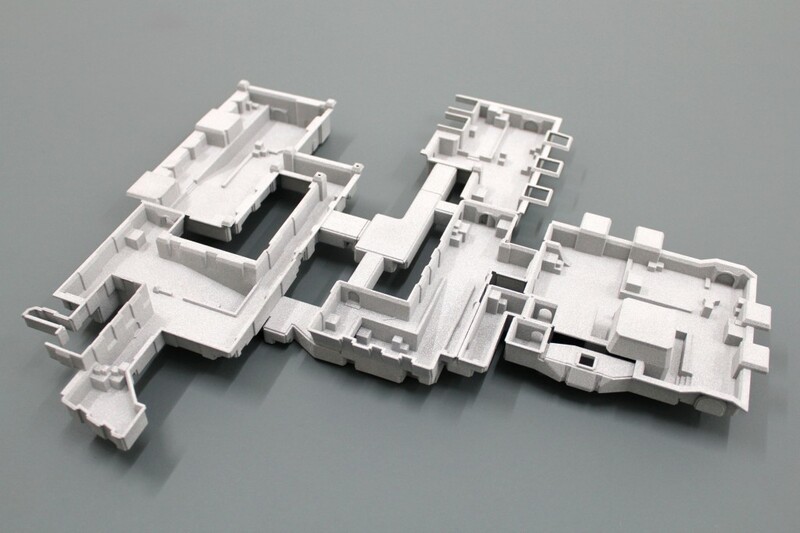 ‘Dust’ is a 1:1 scale replica of one of the most played computer game maps in the world. 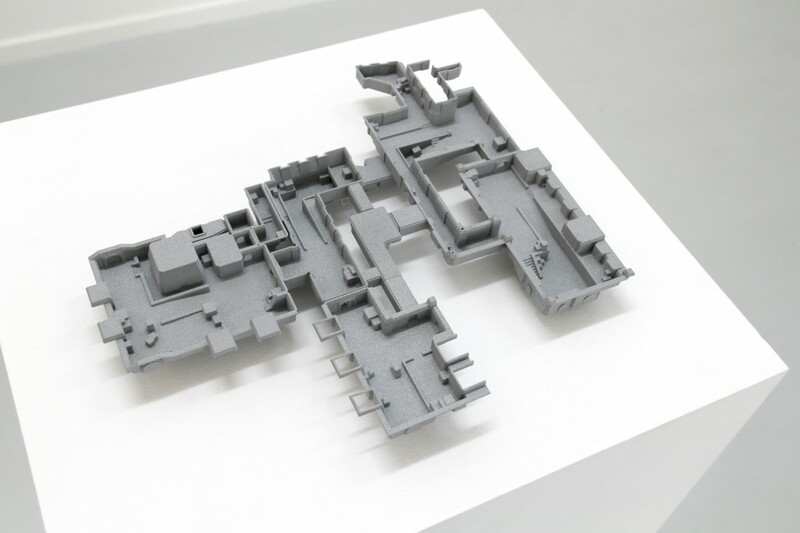 The idea is to build the 3D model of ‘de_dust’ of the first person shooter game ‘Counter Strike’ as a permanent ‘building’ from concrete, making this map accessible as a large scale public sculpture. 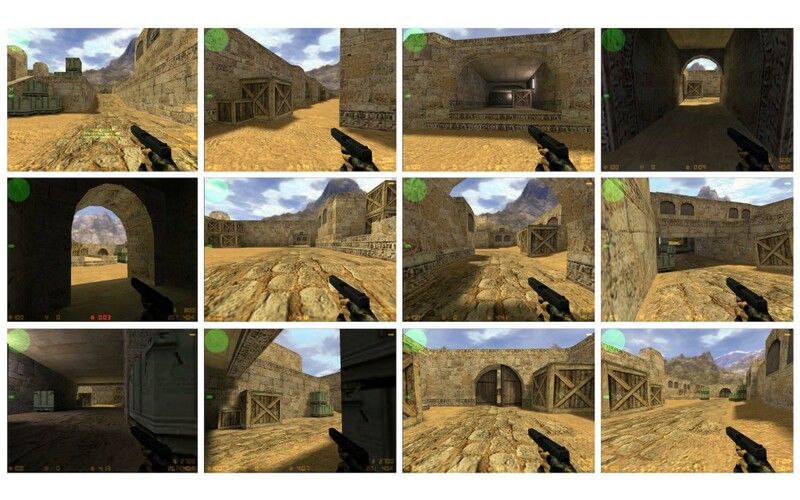 Computer games differ from other mediums such as books, movies or TV, in that spatial cognition is a crucial aspect in computer games. To win a game the player needs to know the 3D game space very very well. Spatial recognition and remembrance is an important part of our human capability and has formed over millions of years by evolution. 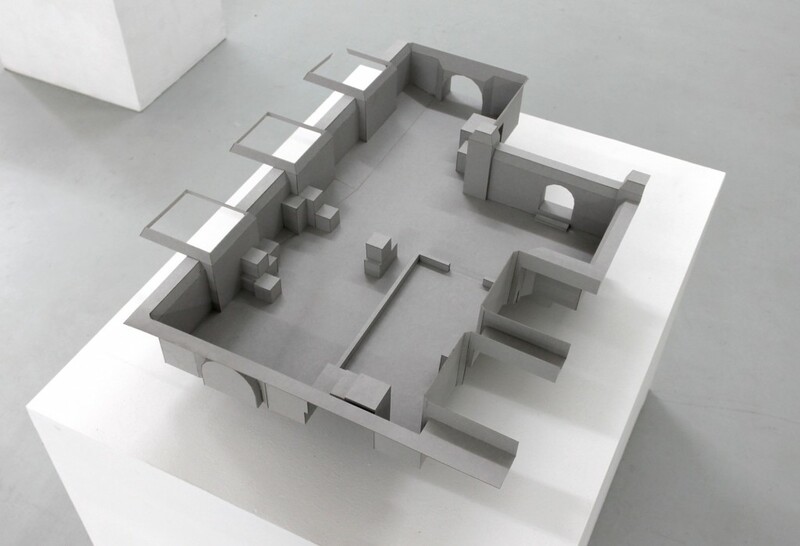 A place, house or space inscribes itself in our spatial memory. We can talk about the qualities of the same movies we watched or books we have read. But millions of gamers experienced the same worlds in computer games. They all remember very well the spaces that they’ve spent a great deal of time in. Computer game architecture and game maps have become a new and yet undiscovered form of cultural heritage. How many people in the world have seen the real Time Square, the Kaaba in Mecca or the Tiananmen Square with their own eyes? Millions of players share the experience of the same computer games and 3D spaces they have ‘lived’ in for a significant amount of time in their lives. A computer game map like ‘de_dust’ appears to be more real than many other places in the world such as artificially constructed places like supermarkets, airports or cities like Dubai. Unlike current computer games (with their endless worlds and terrains), game spaces of the 1990’s were still limited in size due to graphic card and processor power limitations. A respectively small and simple map like ‘de_dust’ offered a high density of team play with repetitive endless variations. 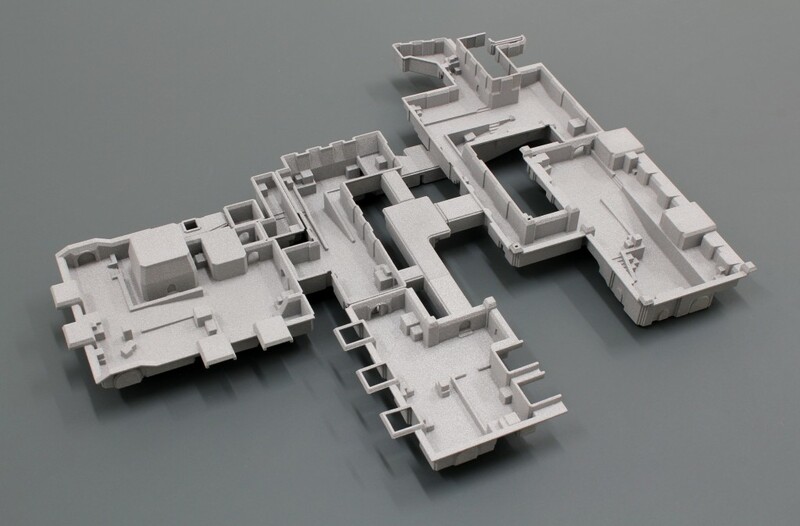 Made from concrete in 1:1 scale, the map becomes an art piece and a museum for a game at the same time. Visitors are invited to take a walk in materialized virtuality and experience the loaded game space in the physical reality. In a level of abstraction all parts of the map will be made from concrete (no color or textures) and will represent a petrified moment of cultural game space heritage. 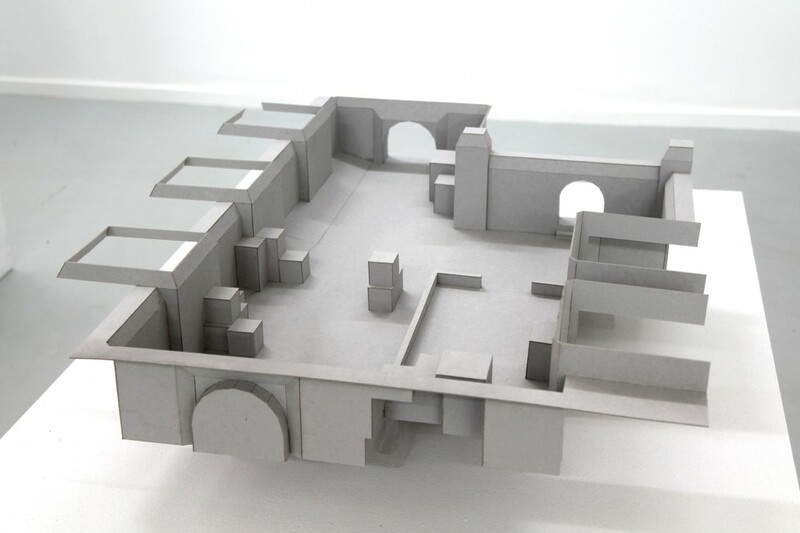 model 1:333, 3D print, Alumide, 36×33×4,5 cm, credits: Eyebeam & Stratsys Inc.